I keep hearing from senior elected officials on Capitol Hill that the evidence against Russia is overwhelming. However, the evidence is not overwhelming, former CIA analyst John Kiriakou told RT. The directors of four US intelligence agencies, the CIA, NSA, FBI and National Intelligence [DNI] have been testifying before the US Senate over their report claiming Moscow meddled in the presidential election. The director of the FBI James Comey claimed his agency was denied access to the Democratic Party's servers, during its investigation into alleged Russian hacking. RT: FBI Director James Comey says his agency was denied access to the Democratic Party's servers. They were the first to accuse Russia of hacking. Why do you think they didn't let the FBI investigate? John Kiriakou: This really is the $64,000 question. I keep hearing things today from senior elected officials on Capitol Hill that the evidence against Russia is overwhelming. They keep using this word, half dozen different elected officials, that the evidence is overwhelming. In fact if you look at the report that the Democratic Party issued, the evidence is not overwhelming, that coupled with the fact that the Democrats did not allow the FBI access to the server just makes me think that there is nothing behind this story. — RT America (@RT_America) 10 января 2017 г.
RT: The FBI says it got its data evidence from private companies, why would they surrender the information, rather than the Democratic Party? JK: Well, the FBI uses something called a national security letter with telecommunications companies, including companies that offer e-mail hosting. Rather than have to go to a judge and get a subpoena, the FBI will write this national security letter, present it to the telecommunications company, and it acts as a subpoena, so they can get wherever information they want – everything from e-mails to ISP [Internet service provider] information, anything and all that they need for their investigation. RT: You were part of the intelligence community. Can these hearings really be trusted? In the past there's been at least one incident when in 2013 the Director of National Intelligence James Clapper made an incorrect statement to Congress. He said the US didn't collect data on citizens. JK: I am actually on record, as saying that, I don’t believe anything that comes out of the intelligence community that’s meant for the consumption of the American people. The CIA’s record on this issue, on honesty with the American people, is dismal, frankly. 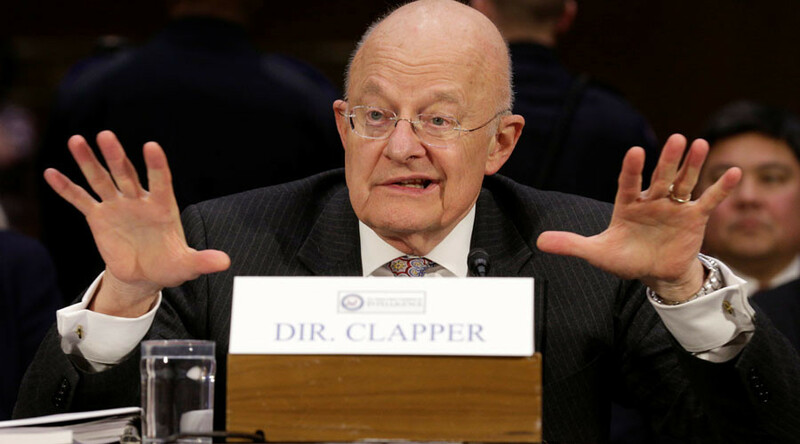 As [RT] rightly pointed out, General Clapper’s personal record is also dismal. Unless we see actual proof, actual evidence – and there ought to be evidence. If this hacking took place, there would be an electronic trail back to the point of origin. We haven’t seen any electronic trail; we haven’t heard anything coming from the director of NSA saying that there had been a successful hack. It just leads me to believe that the evidence doesn’t exist. RT: The FBI says it was denied access to the Democratic National Committee (DNC) servers. Is that normal practice in the intelligence community? Coleen Rawley: I don’t think that any of this is normal. The kind of trotting over ground that they have never gone before. Unfortunately, because the DNC did not allow the FBI access, they had to rely upon the DNC’s contractor, their security contractor. And of course the contractor is paid by the DNC. Unfortunately, that does seem to bias the findings that they were not allowed access to this DNC. It might be that they weren’t allowed simply because this wasn’t taken that seriously. There are many facts here that show that the initial discovery if there was hacking, was not taken real seriously – that the FBI did not even go in person to talk with the DNC. They made a phone call, and the DNC did not believe that phone call was even from the FBI. So there is a lot to investigate. RT: Why would the DNC grant access to a private company rather than the FBI? CR: Obviously, it was well-known that Hillary Clinton was under investigation; perhaps the Clinton Foundation was under investigation. I would agree with John Kiriakou that there probably does seem to have been a lack of trust. The DNC did not even have much security. Hiring this contractor to get up to speed finally, they tried to catch up, obviously they didn’t call the FBI – the FBI called them, but didn’t make much of connection. I should mention. Also, Hillary Clinton blamed [James] Comey. This is kind of forgotten right now, but for a period of time she was blaming the FBI director for her loss. It didn’t shift to blaming Russia until a little bit later. It seemed like the first inclination of Hillary Clinton was to blame Comey for having announced a few days before the election that he was reopening the investigation of her private e-mail server. — RT (@RT_com) 31 декабря 2016 г.
RT: The Democratic National Committee were the first to accuse Russia of hacking. Shouldn't they be ready to cooperate when it comes to providing evidence? CR: The timeline is all off here. In my opinion, these allegations became overblown very belatedly. It was kind of a slow lead-up. I think what we have now is: we have the Democrats – there was a press conference [yesterday] with Adam Schiff. He had nine Democratic Congress persons announcing they wanted to investigate. They likened it to 9/11, which is really troublesome and really concerning, because in the case of 9/11 the FBI or the US went to war as a result of 9/11. So when Schiff likens this investigation to 9/11, it should be of concern to a lot of people. So you have that motivation on the part of the Democrats to blame the results of the election upon Russia, and probably to undermine the Trump administration. On the other hand, you have some Republican war hawks like John McCain and Lindsey Graham, who are very opportunistically using this to fuel and fan the flames of more war really. It is a scary; it is really not something to be taken lightly. I think I would speak from many American who are very worried about the stance that we’re in right now.